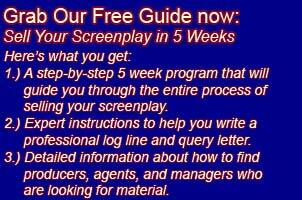 In this episode I interview screenwriter, editor of ScriptMag.com, and co-founder of Script Chat Jeanne Bowerman. http://www.inktip.com/ – I have had some near misses with this site, but no actual success yet (as of 2/17/2014). I do know some people who have had success with it, though, so it’s worth doing. I do the news letter and pay to have one script in their database. http://www.blcklst.com/ – I haven’t had any success with this site yet, but it seems like it could work it you get lucky with a couple paid reviews. http://www.virtualpitchfest.com/ – I haven’t had any success with this site and probably won’t continue with it. It seems too expensive for what you get.